Currently displaying all 22476 items in the archive. Enter a search term or click on a filter. Findspot - clay loom weights dating to the Migration or Early Medieval period were found 200m west of Sheepy Road, Atherstone. A Medieval fishpond used for the breeding and storage of fish. It is marked on the Ordnance Survey map of 1926, and remains visible as an earthwork. 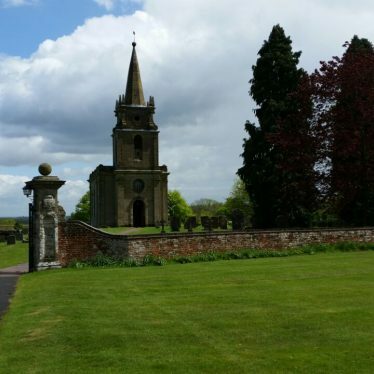 It is situated 100m south of Wroxall Abbey. The Parish Church of St John the Baptist. It was built during the Post Medieval period and survives largely unchanged today. It is situated at Honily, west of Honiley Hall. Site of Post Medieval Manor House to N of Church, Honiley. Old Honiley Hall, a Post Medieval manor house. Much of the building was demolished during the Imperial period and a new house was built on a different site. Two service wings of the original manor house do survive. The site is located north east of the church. New Honiley Hall, a house that was built towards the end of the Imperial period. The house replaced Old Honiley Hall, which was demolished. It is situated 300m east of Honiley. Moat 100m S of Poors Wood, Honiley. A Medieval moat, a wide ditch usually enclosing a building. It is still partly visible as an earthwork. The moat is situated 100m south of Poors Wood, Honiley. The possible site of a Medieval shrunken village. The village is known to have existed from documentary evidence. It was located to the east of the church at Honiley. The site of brick/tile works from the Imperial period. They are marked on a nineteenth century tithe award map, but only faint undated scoops remain. The site was at Brickyard Spinney, Honiley. Site of Possible Holy Well to N of Church, Honiley. The possible site of St Johns Well, a holy well, used for healing people during the Medieval period. The site is located 100m north of the church at Honiley. The site of a possible Medieval moat, a wide ditch surrounding a building. It is no longer visible as an earthwork but was situated 100m north west of St John the Baptist's Church at Honiley. 1 Honiley (three quarters of a mile NW of church). Built by 1725. Post mill. 2 Windmill marked on Beighton’s map. Documentary evidence suggests that this is the site of a Post Medieval windmill. Its location was 1.2km north west of the church. 1 Site of windmill marked on 1746 map. 2 The only ‘remnant’ is a house named ‘Mill View’. The site of a windmill which was Post Medieval in date. 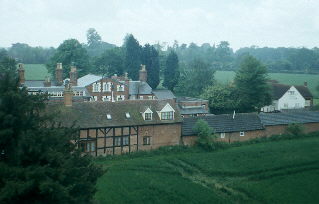 The site lies on the north side of South Street, Atherstone. Moat at Moat Cottages (formerly Moat Farm), Honiley. A Medieval moat, a wide ditch usually surrounding a building, is still visible as an earthwork at this site. It is situated 500m north of Clattyland Wood, Honiley. 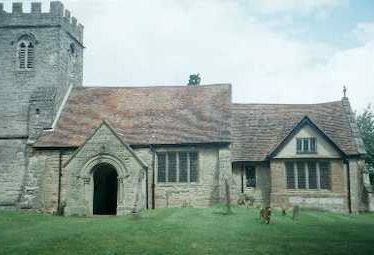 The Parish Church of St Mary which is of Medieval origin. The church is situated in Haseley, 300m east of the Falcon Inn Public House. The site of a Post Medieval manor house which was demolished in 1972. The manor house was situated 500m north west of the church at Haseley. Haseley Manor, a country house which was built during the Imperial period. It is situated 400m east of the church at Haseley. Haseley Park, a Medieval deer park, where deer were kept for hunting. The deer park was situated to the north east of Hatton Green. The site of Haseley Mill, a watermill which was in use from the Medieval period until the Imperial period. The mill pond is still visible as an earthwork. The site is located 500m north of the church at Haseley. 2 Undated linear earthworks show on air photographs. One of the earthworks appears to define half of a polygonal enclosure. 3 The site has been ploughed flat. Several linear features of unknown date are visible as earthworks on aerial photographs. The features are located 100m west of Beausale Lane. A pound which was used for penning livestock during the Imperial period. 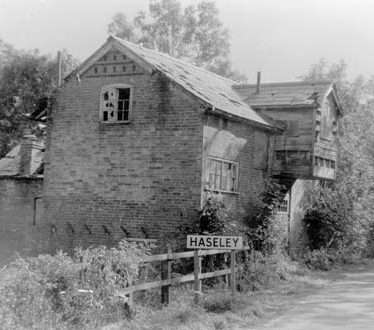 It is situated at Haseley Green. The possible site of a deserted Medieval settlement. The remains are visible as earthworks and the site is located at Haseley Green. The possible site of a quarry which may date back to at least the Imperial period. The quarry is suggested by the place-name 'Sandpit Close', which appears on a map of 1841. The site is located 1km south west of Haseley Green. 1 ‘Icehouse’ marked in the garden of a house on Rose Hill. 2 The site is now covered by a housing estate. The site of an icehouse, a building constructed partly under ground for storing ice during the warmer months. 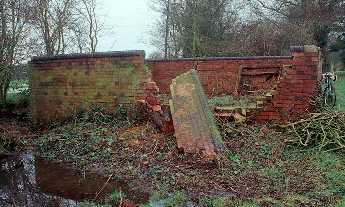 It was constructed during the Imperial period and was situated south of Church Walk, Atherstone. The possible site of a quarry which dates back to at least the Imperial period. The site is suggested the use of the place-name 'Gravel Pit Close' which appears on a map of 1841. The site is located 400m south west of Haseley Green.